7 Volatile Slots Of 2018 Capable Of BIG Payouts! And this is great news for players who are happy to take a bit more of a risk while gambling online. What Is A Volatile Slot? Volatile games generally contain far-higher win-potential than lower-variance slots, but making wins is usually a lot tougher. While, for example, a low-variance slot may pay lots of small, regular wins, a high volatile game will pay fewer wins, but bigger ones. The bonus rounds may also be a lot hard to land on high volatility games. Now, while volatile slots tend to drain your balance a lot quicker than low variance games – the win-potential is almost always a LOT higher – and that means you can often find yourself playing high-variance slots with win-potential upwards of 5,000X a spin! In this post, we’re going to take a look at some of the most popular high-variance slots released in 2018. 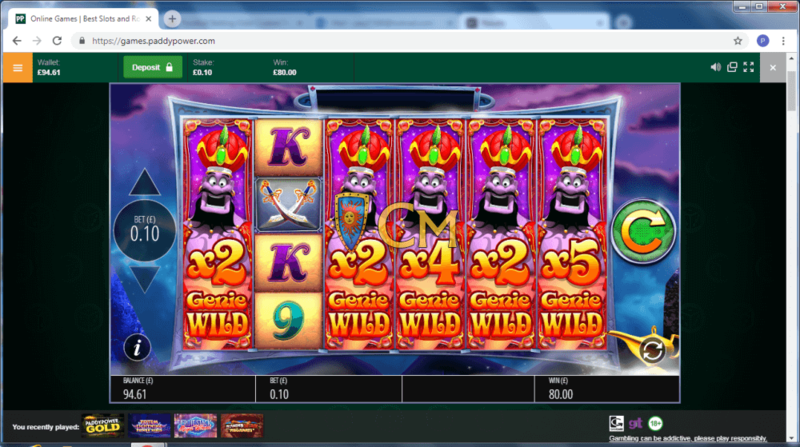 After realizing the success of their first Megaways™ game Diamond Mine, Blueprint Gaming decided to incorporate the new game engine (on license from Big Time Gaming) with one of their most successful slots – Genie Jackpots. The result? Genie Jackpots Megaways™ . 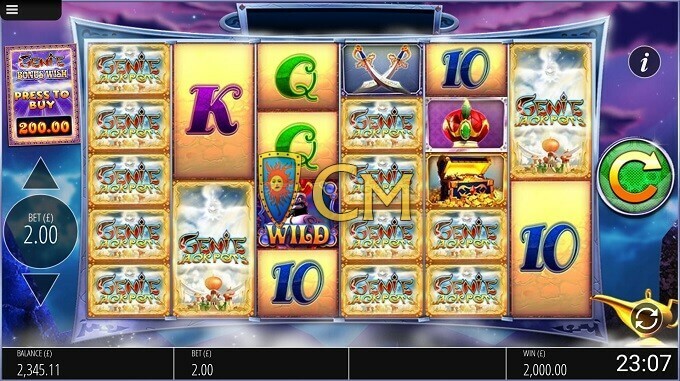 Genie Jackpots Megaways™ is a 6-reel game, with up to 15625-ways-to-win, and the game – like the original Genie Jackpots – features an enjoyable array of bonuses, animations, and sound effects. The first feature is the Genie Lamp, and this is triggered randomly during regular gameplay. If activated, three gold lamps will appear on screen, and you’re tasked with picking one. The lamps can reveal a bonus boost, a genie win-spin, wild megaways, and wild reels – and all bonuses are capable of paying generously! For the main feature (which is triggered by landing 3 or more of the green bonus symbols anywhere in view), you’ll get to pick from four lamps. You are then awarded either a locking wild bonus, a mystery wishes bonus, an unlimited multiplier bonus, or a genie win streak bonus. Another thing worth pointing out, is that you can buy the feature for a cost of 100X bet. This is a controversial addition to the game, and it’s somewhat of a maremite feature; some players love it, while others despise it. One of Pragmatic Play’s most successful slots to date, John Hunter and the Secrets of Da Vinci’s Treasure offers up some extraordinary win-potential, with up to 48,000X your stake available to be won! 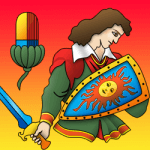 As you join the fearless treasure hunter – John Hunter – you’ll play for one of three bonus rounds, which are triggered by landing the parchment scroll scatter symbol on reels 2, 3 and 4. The first bonus is a Prize Picker, and this awards you one pick, from three portrait paints that appear on screen. 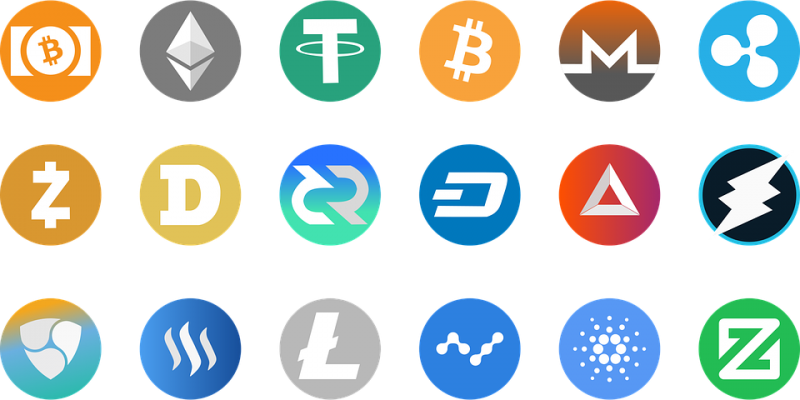 The cash amounts vary, but typically are in the region of 10X to 30X stake. The next bonus is the Map Quest, and this is a ‘spin the wheel and progress’ bonus, similar to what we’ve seen successfully incorporated in other slots, most notably perhaps, Barcrest’s Rainbow Riches. 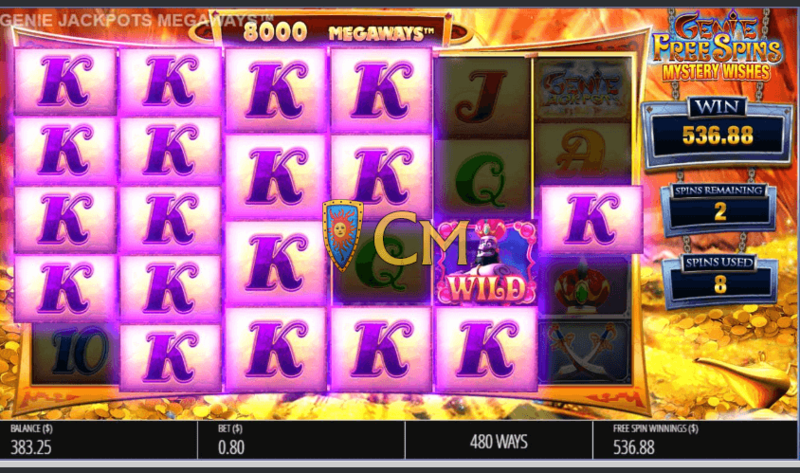 Make your way to the castle to scoop a large payout! The third bonus (and the best, by far), is the Progressive Free Spins, and this awards you with 12 free-spins. 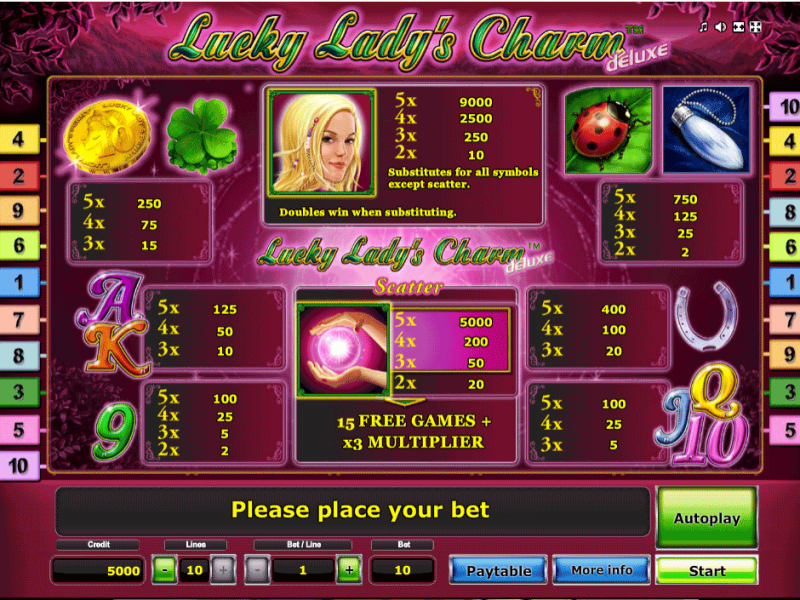 Each spin increases the multiplier by 1X – and it’s possible to re-trigger the free-spins up to a total of 60 spins – and this is the point at which the 48,000X stake win becomes available. Reach the 60-spin mark, and land a full screen of the John Hunter symbol, and you’ll walk away with a staggering 48,000X stake win! While the game is incredibly volatile, big wins can be achieved in both the base-game and the features – and the progress free-spins really can pay, so they’re often worth sticking around for! The second slot to appear from Pragmatic Play in this post, Peking Luck is another super-high variance slot, and it’s playable from as little as 25p, and as much as £125 per spin. 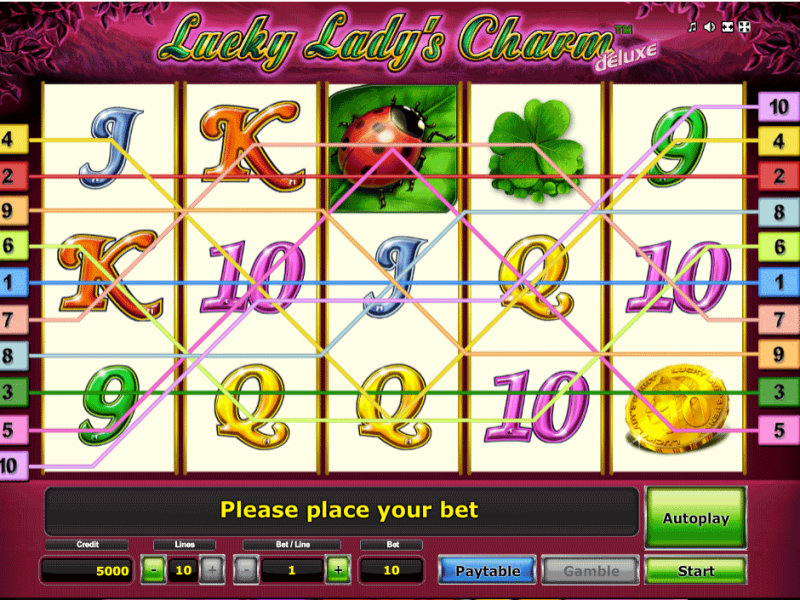 Land 3, 4, or 5 of the scatter symbols to trigger the bonus, and you’ll then get to pick your free-spins, and multiplier. It’s possible to win up to 38 free-spins with an 18X multiplier – and if you manage to land a full screen of the wild symbol on the 18X multiplier, you’ll scoop the 180,000X stake jackpot! Of course, it’s insanely unlikely the 180,000X win will ever be seen, but still; it’s nice to have it there, and big wins can be achieved with even the most modest of multipliers, thanks to the stacked wilds present on all reels. 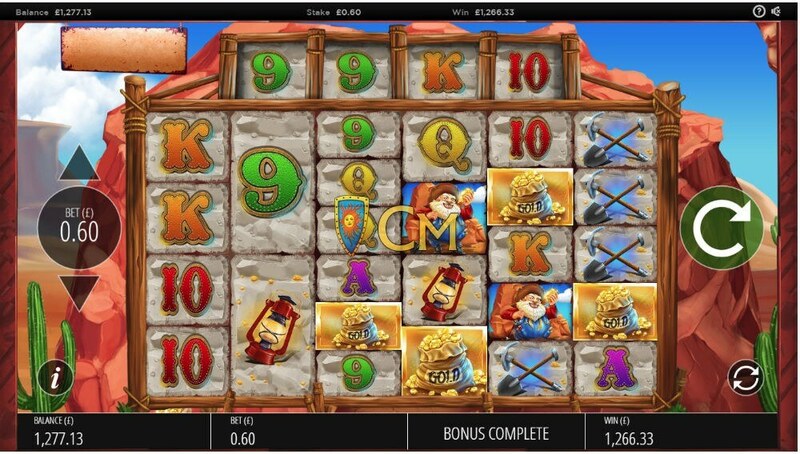 Diamond Mine was Blueprint Gaming’s first slot to use the innovative Megaways™ game engine from Big Time Gaming, and the slot has proved to be a tremendous successful, becoming one of the German-based developer’s most popular game releases to date. The game is modeled very closely around BTG’s ‘Bonanza’, although there are a couple of differences. The most obvious is the barrel feature. During both the base-game and the free-spins round, barrels can land on the reels (on all reels, and the top), and once the barrels have landed in place, they will all transform to reveal an identical symbol. Clearly, if you manage to get a decent number of barrels across (and they transform into a high-paying symbol), you can enjoy some very big wins. 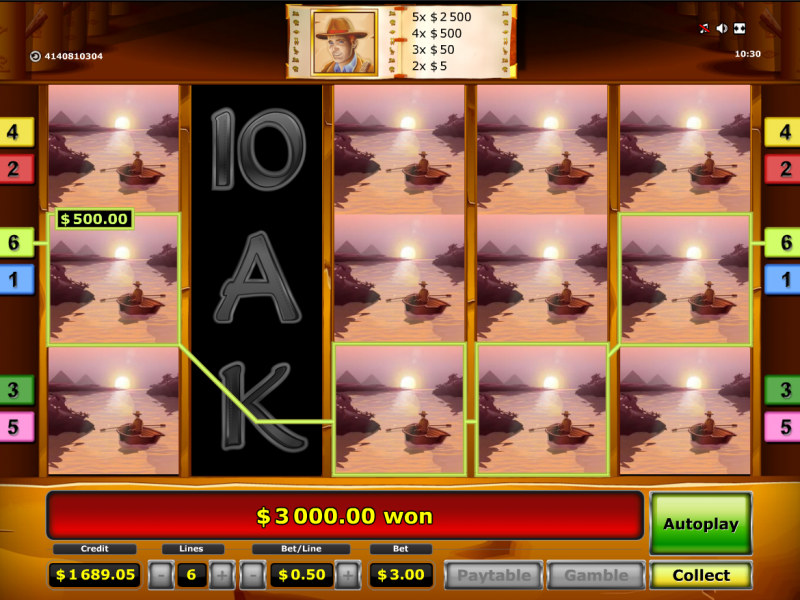 Aside from that, the game plays mostly the same as Bonanza – although some players have said that the bonus is a bit easier to trigger. It’s also worth noting that the actual mathematics of the game may be a little different from those used in Bonanza. For example, people posting in the forum have mentioned that the maximum ways appears to trigger a lot more frequently within the base-game, as opposed to Bonanza – and while it doesn’t always seem to pay as well, little things like this give a good indication that the exact math model may be “tweaked” slightly. One of Big Time Gaming’s most anticipated releases, Donuts is centered around an American theme (who’d have guessed from the name), and the game has quickly become a go-to slot for many players, thanks to the insane potential found both in the base-game and the free-spins round. Land three or four of the gold Donut scatter symbols anywhere in view to trigger the bonus round. 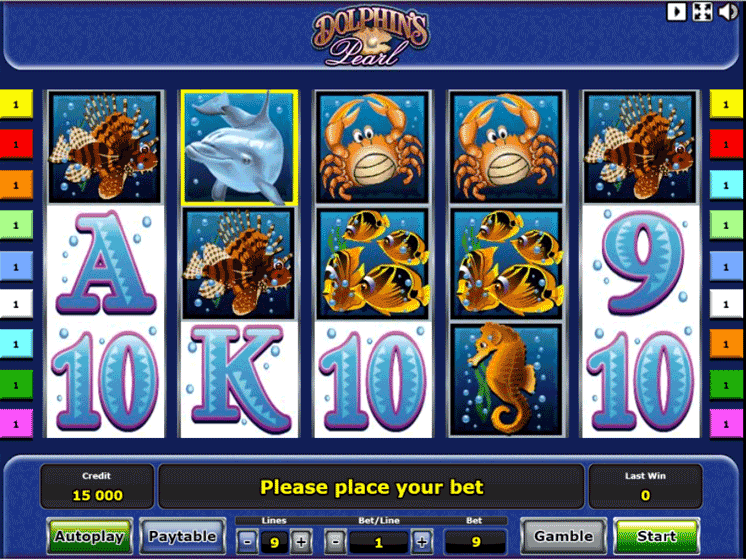 You are then awarded with 12 free-spins, but before they begin, you’re taken to a new screen. Here, you begin with 3 gold donuts on the screen, which unveil a mystery multiplier between 1X and 50X. If you manage to land another donut, you are awarded another 3 attempts at unveiling more – and this continues until you go 3 consecutive spins in a row without hitting a donut, or until you fill the screen. Once this happens, the free-spins round begins, and whatever the combined total of the multiplier you have managed to reach is, that’s the multiplier that will be present throughout the free-spins bonus round. It’s possible to uncover 50X and 10X donuts – so clearly, there’s some MASSIVE potential within the bonus round, especially if you can make it across the screen with one of the premium symbols. You may be surprised to see a slot on this list from Quickspin – and that’s because the Swedish developer is best-known for its low-medium variance slots – often which have good, but not amazing win-potential. Eastern Emeralds is different, however, and it’s Quickspin’s answer to the ever-growing super-volatile slot industry that we’ve seen revolutionized thanks to the likes of Big Time Gaming and Pragmatic Play. 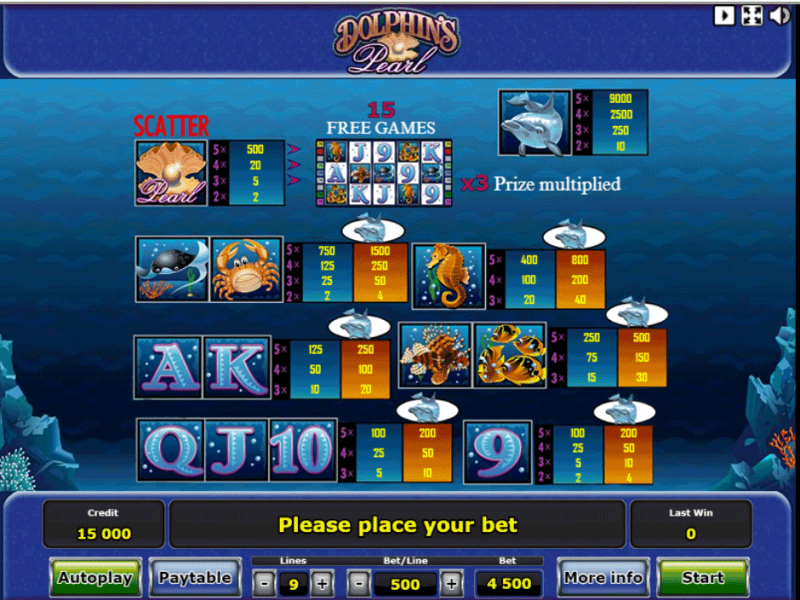 This Oriental-themed slot uses a 5-reel 20-payline format, and from the moment you open up the game you will be transported to the Asian wilderness; calming, tranquil, and smooth, the game is enjoyable to play, and – as you will soon see – there’s some massive potential for big wins, thanks to the multiplying multipliers. Now, during the base-game, you’ll see that wild symbols are present on each of the five reels. On the first reel, it’s just a regular wild, but on the other reels, the wild contains a multiplier which matches the reel number it’s on. For example, on reel 4, the wild symbol is a 4X multiplier. Now, these wilds multiply against one another – so there’s big potential in the base-game alone! Where things get really crazy, however, is during the free-spins round, because you get to pick how volatile the feature is. If you opt to take the low spin option (6 free-spins), the multipliers can multiply against one another to deliver a staggering 1,680X multiplier – so there’s HUGE potential here! 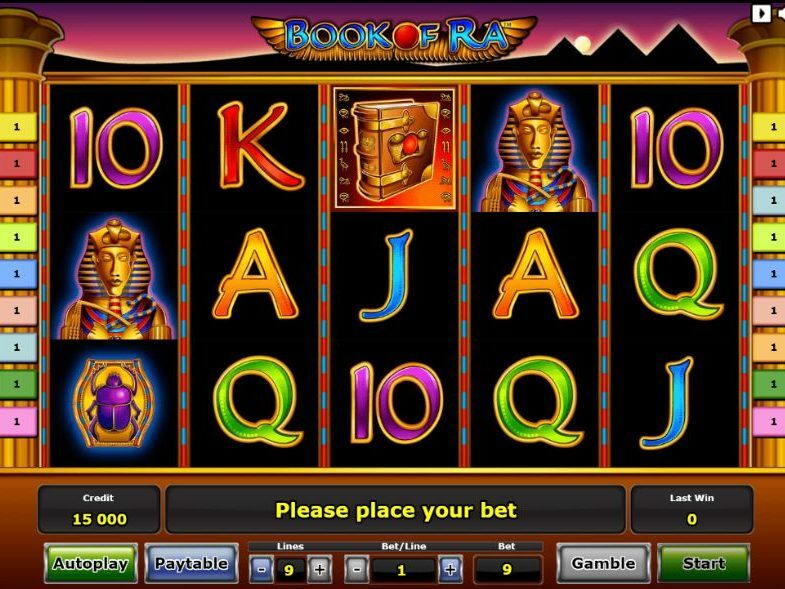 Book of Ra is one of the most successful and well-known slots in history, and this Novomatic creation can be found at thousands of casinos around the world, both online, and offline. 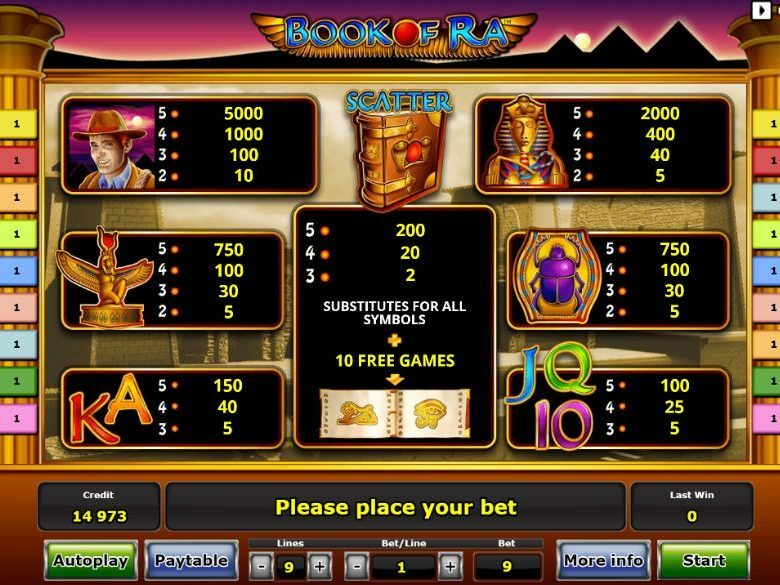 The game has always been favoured by players due to its large win-potential – up to 5,000X per spin during the bonus round – and after some successful spin-off titles, including Book of Ra Deluxe, Novomatic decided to follow up with yet another release in the series, with the slot called Book of Ra Magic. Book of Ra Magic is much like the other games in the series, and the same design and character symbols are found within the game. What is different, however, is that during the bonus, if you manage a re-trigger, along with 10 additional spins, you get an extra expanding symbol. This means – technically – it’s possible to get every symbol in the game expanding – and if you get a few lucky expansions, you could find yourself walking away with the maximum 5,000X/spin payout! As you can see, there’s some pretty incredible games that have been released in 2018 – and many of them offer win-potential that far-surpasses what we normally see in online video slots. If you’re going to play on of the games we’ve mentioned in this post, just remember: a high variance game is volatile for a reason. The big wins are more than possible – but in order to deliver these types of win, the base-game tends to play a lot more ferally than low/medium variance games – so just be aware that you could find yourself waiting a long time, or losing consecutive deposits before you manage to score a big hit on the game. Alex is a 26-year-old writer from Brighton, in the UK, and for the past 8 years, he’s worked with a number of companies, creating content for blogs, news articles, and more. 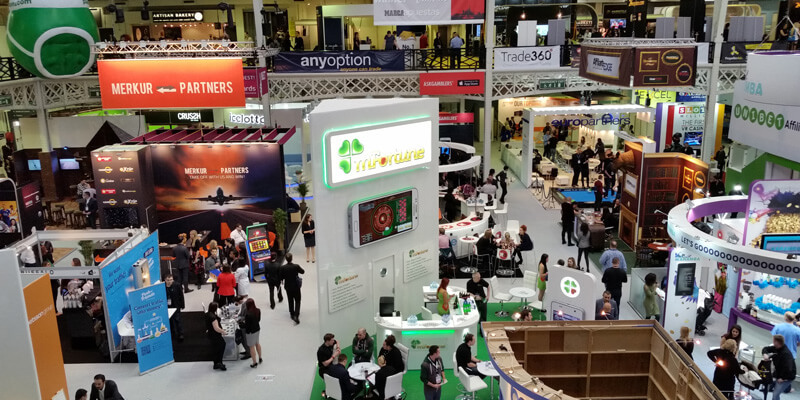 While Alex has written on a wide variety of topics, his speciality is online gambling – an industry he’s both passionate about, and experienced in. Having enjoyed gambling for over 7 years, Alex is a huge fan of video slots, and cites NetEnt, Big Time Gaming, Thunderkick, and Quickspin as his favourite providers. The topics he writes on are varied, but he loves nothing more than a good old slot review (he’s written over 1,000 slot reviews in his career), and he also enjoys writing in-depth gambling guides, along with casino reviews. In his spare time, Alex enjoys playing the guitar, and is a self-proclaimed horror film buff.